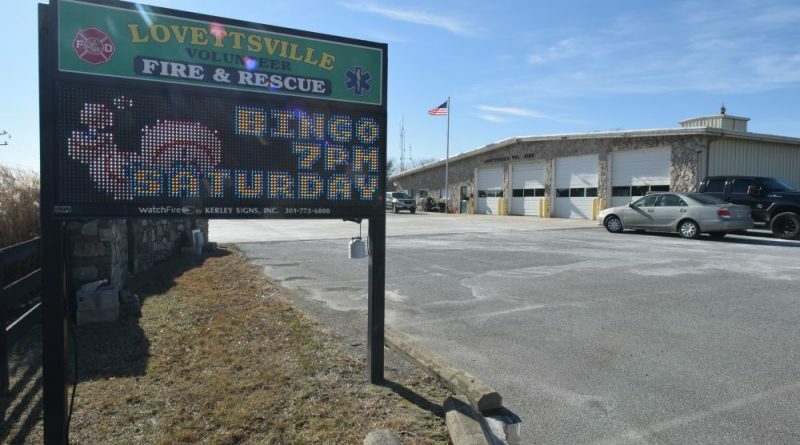 The Lovettsville Volunteer Fire and Rescue Station property may soon be drawn into the town limits, but not first without some resident feedback. A public input meeting is scheduled for Thursday, Jan. 25 at 7:30 p.m. at the station for residents to learn more about the possible annexation, which was first discussed in 2015 when the Board of Supervisors endorsed plans to build a new $14.5 million firehouse on the property. The town’s volunteer firefighters became concerned when they found out the new 18,000-square-foot firehouse would not have an assembly hall—something the existing 17,000-square-foot firehouse has and uses for bingo, which helps to pay for equipment, fuel and other necessities. If current firehouse and fire hall are not annexed, the buildings would be governed by county zoning rules, which may not permit a stand-alone activity center or bingo hall. Also, plans by the Lovettsville Cooperative Market to set up operations on the property could be thwarted because county rules may require at least 25 percent of the products it sells to be grown onsite, something the co-op has no intentions of doing. To continue using the existing building for bingo and to allow for the coop to open its store, the fire department submitted an application for annexation last March. Zoning Administrator Josh Bateman said the town last year also changed one of its zoning rules to permit the store to open in the 8,700-square-feet of space that is currently used for fire and rescue operations, if the property is annexed. “They’re really limited as to what they can do with their existing building,” he said. Town Manager Sam Finz said he feels that one of the main reasons for the town to annex the 15.38-acre property is in its name. After the public input meeting, Finz said the town staff has to get an agreement with the fire station finalized before bringing it to Town Council and the county for approval. Station 12 has been in operation for 52 years. The existing firehouse has been serving the town and surrounding area since 1974 and has a response area of 100 square miles.